Download and print the terminology requirements for all levels of black belt. 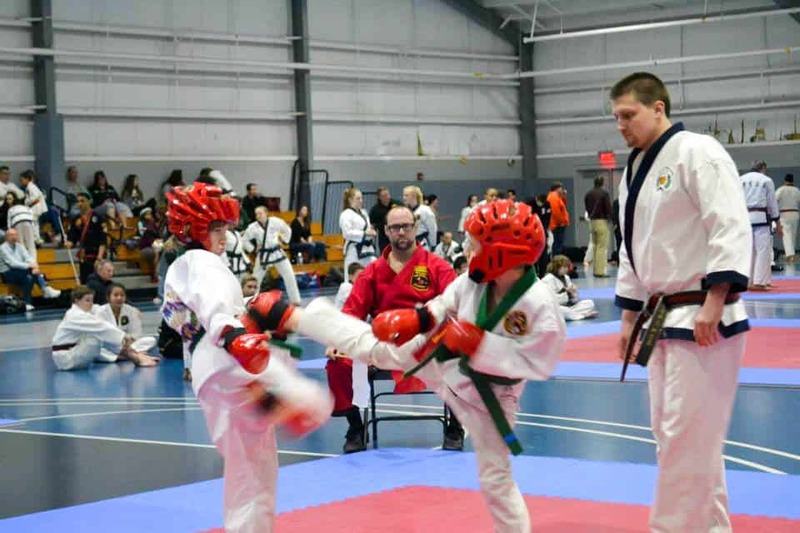 Visit our YouTube channel to see our students and instructors in action at tests and tournaments. Ask your instructor about Master Scott's book on Tang Soo Do, or shop on Amazon. Competitors should bring their uniform and belt, a mouthpiece, hand gear, foot gear, groin cup (males), head gear, water, and a small dry snack. A gym bag to transport your martial arts equipment should be used to keep your gear safe and organized. The more competitors, the longer it takes to complete all of the divisions. This means that even a well-run, organized event can run later than expected. There may be refreshments available at a concession stand but a good breakfast is really important! Does my child have a chance of winning? As instructors, we know how they perform in class and at testings, but how they will perform in their first tournament is an unknown. The combination of adrenaline and nerves will make some perform better and really shine, and others may freeze, forget their form, or lose in the first round of fighting. It is important to remember that this is all a normal part of their development. Training in Martial Arts is all about self-improvement. In competition, your children will learn how to perform under pressure, how to win and lose with good sportsmanship, and our goal is to have them return to class the following week determined to improve themselves. When the competitors are called to the ring, they will officially bow in to the judges and then be seated and wait for their name to be called. Prior to the first competitor, the judges will set a scoring range. Common ranges could be 7.0 to 8.0 for Beginners/Intermediate Divisions, 8.0 to 9.0 for Advanced. It may vary slightly from ring to ring. 1. The first competitor will perform to help the judges set their scoring standard. 2. Each competitor will perform individually for the judges and receive five scores. 3. The scorekeepers will drop the lowest score and the highest score and add up the middle three scores. This is the competitor’s score. 4. After all other competitors have gone, the first competitor will come up again to perform, and their second score will count. 5. The scorekeepers will then rank the competitors in order to award 1st, 2nd, 3rd, and 4th place. In the younger divisions, participation medals may be given to any child not placing in their division. 6. The competitors will then be told to go get their fighting gear and to come back to the ring. This is a great time to quickly get a drink of water and go to the bathroom. Competitors will report back to the ring with Fighting gear. The Center Referee will bracket the fights keeping several different things in mind: school, size (height/weight), and rank. Ideally no one should fight another student from the same school during the first round. However, this often cannot be avoided in the second round. Depending on how many competitors there are, some competitors may randomly receive a “bye” into the second round. This means they automatically “win” their first round and move on. Matches are a two minute running clock or 90 seconds for children. The Center Referee will start and stop the fight to call for points. One competitor is designated RED, one is WHITE. In order to score a point, three out of the five judges must agree. The fights are single-elimination. Winners advance to the next round to fight again. Once they’ve lost a round, they typically do not fight again unless it is the semi-finals and they fight for 3rd and 4th place. Again, in the 5-6 year old divisions participation medals will be given to children not placing in their division. **All competitors should stay until the end of the division and wait to be officially bowed out and dismissed.